I was up until the middle of the night last night listening to thunderstorms that kept rolling over us, one after the other. Every time I started to drift off to sleep, thunder would rumble loudly overhead, jerking me awake again. It wasn't right on top of us, but much of the time it was very close and therefore very loud. The storms must have been coming in steady bands because the storm would be loud and then would recede only to get strong again. Thunder kept booming and lightning kept flashing on and off for more than an hour. It was really quite an awesome display in the night. It was hard to count the seconds between the lightning and thunder though because the flashes of lightning and claps of thunder were so close together that they were nearly continuous at times. I did ascertain that it was a mile or less away for a number of minutes and 3-5 miles away for a solid half hour. In other words, it was too close for an uninterrupted night of sleep while it was around, but the rain that accompanied it was helpful in offsetting the drought conditions that have existed in Florida in recent years, during the time I was living in Seattle. Unaccustomed as they are to such weather, I will say that my cats were mostly okay with it, although my oldest female definitely didn't like the thunder. I was a little surprised that my boys, who seemed calm enough, were actually okay only as long as they were in the same room as me. They all ended up in the rooms where either I or my housemate were trying to sleep. I guess they were taking their cues from us as to whether this weather was a scary event or not. My housemate's cats are used to it because they've lived here all their lives, but not my four. My youngest little girl was totally unfazed by it, but that is pretty much her natural state. She stays cool as a cucumber no matter what. She's a new soul to be sure, and approaches the world with wide-eyed wonder. She was the one who was most relaxed and totally fine with all the driving back and forth across the USA last year. From mid-April to mid-October, the five of us logged about 13,000 miles in the cab of a Dodge Ram 1500, in a regular size cab. My youngest boy is next in the coolness level, but my older cats, the "twins" are not even a little bit brave. My eldest boy had been named "Pollo," when he was a kitten. While he was aptly named, I wasn't about to have call him Chicken in any language, so I changed his name when I adopted him from the rescue center. My oldest girl was pretty darn spunky when she was a kitten, but not so much any more. I have to wonder if the first trip from Seattle to Orlando in 2010 is what shifted her energy from a spunky princess type to a somewhat skittish kitty. The third night on that road trip was awful for them. I had to leave the twins and their older sibling, Dustin, in the car for the night because the hotel did not accept pets. I hated the thought of having to do this, but it was late and I had limited hotel choices where I had exited the highway. The temperature was okay though so I relented in order to get some much needed sleep. I had a luxurious shower and slept soundly in the comfy bed, but the next morning I came out to the moving truck to find the cab completely trashed and smelling of urine, as though someone (I found out later who) had wet themselves instead of using the litter box. Cat kibbles were everywhere, stuff was upended, and animal paw prints on the door and roof of the cab spoke of a terrifying encounter in the night. The prints on the top of the cab of the moving truck were from a raccoon. The ones on the passenger door were from a large canine. Given the proximity to the woods and mountains, it's anyone's guess as to whether the beast that had been after the raccoon was just someone's dog running around in the parking lot or something wild from the woods. As far as my cats were concerned, however, whatever was out there was excited and wanted the raccoon that was on the roof above their heads. I hadn't been able to park the moving truck close enough to the hotel to hear what went on in the night, so I have no idea what happened, when it happened, or how long it went on. All I could determine was that my cats had been terrified. I didn't need to be psychic to figure out that they'd had a very bad night. The terror was in their eyes, as well as more than a hint of accusation. They were exhausted, upset, and disillusioned that their mother would allow them to suffer such an ordeal all alone. That morning while I fed them breakfast in the truck, cleaning up as best as I could and spraying some aromatherapy scent so we could all breathe a little better in there, I apologized whole-heartedly to my feline children and vowed to stay in the vehicle with them if I ever had to make them stay in a vehicle overnight again. I kept my promise to them, not only for the rest of that trip, but also for the 13,000 miles we traveled together last summer. It didn't matter that they had been perfectly safe inside the big truck away from the wildlife encounter that was raging just outside the safety of their sleeping space, the fear was the same for them. They had no assurance that the dog, wolf, coyote, or whatever couldn't get into the truck, while it was barking, baring its teeth, growling, and pawing ferociously at the door of their living space. The energy in the cab that morning was one that reeked of fear. I vowed that day never to leave them in the truck overnight alone again, no matter how safe I knew them to be. The fact that they didn't know that they were safe was all that mattered. They know they are safe as long as I am present. That's why I took them with me last year to the GCLS conference in Minneapolis rather than leaving them in the camper with someone just checking on them periodically throughout the days I'd be gone. I just couldn't do that to them. To begin with, we had just moved into the camper a few days earlier. The fact that it was another new place, and situated in the midst of wooded acreage, in no way insured that there wouldn't be a repeat of the night in a hotel parking lot in Utah, when a canine of some sort had "treed" a raccoon on top of the roof of the vehicle where my cats were awaiting the return of their mother. I just couldn't do it for their sake or my peace of mind. We were better off together, even if it meant taking them on the road again after less than a six-week respite from the 4000-mile trip that had brought us to Washington from Florida with a few significant stops along the way. On that trip to Minneapolis, I did end up having to sleep in a campground one night in the cab with them in order to keep my promise to them. It was a fitful night and cold this time. We didn't manage to make it more than 4 or 5 hours in there together. They were cold and restless, and I was cold and ready to be anywhere other than trying to sleep in the front of a pickup truck with four restless felines that had been stuck in the cab of a truck all day. As difficult as the night was, and as little sleep as I got, it was still far better than leaving them some place where I wasn't certain that they would be free from wildlife terrors in the night. After a few hours of fitful sleep, I pulled back out onto the road and drove for several hours until the sun rose and turned the earth's thermostat up several degrees. I pulled off the road at a rest stop and slept a couple hours more, this time in the warmth of the morning sun. The cats ate breakfast at the rest stop and settled in for their usual after-breakfast nap too. All was well, and again, much better than allowing my cats to endure any more terrifying wildlife moments in the night. This year, fortunately, as I plan to fly out to Dallas to the GCLS conference, the cats are all safely settled in a familiar house, and they all love and trust their "auntie." We will miss each other during these four days while I'm away, but we will live through it and be no worse for it upon my return. They'll be safe while I'm gone and since they trust my housemate implicitly, they'll know that they are safe. Knowing that will make me feel so much better about leaving them. Now that we've lived through a night of rough weather together recently, I know that they'll have last night to remember should it get stormy during the few days I'll be absent from them. The storm was noisy and more than a little unsettling to them, but they witnessed their mother and their auntie taking it in stride. So while my housemate might end up with all eight cats sleeping as close to her as they possibly can, everyone should feel safe at least. Even if I can't go back in time and change what happened in my kitties' psyches during the ordeal of the raccoon and the canine in the night, I can at least try to make sure that it is the last time in their lives something that scary happens to them. I'd like to see more of the kittenhood spunkiness I saw in my oldest little girl during the early years of her life. I suspect that she retained too much of the fear of the night when she and her siblings felt very much like prey instead of the natural predators they are. I'd like to see her bounce back from that completely, and I'd like to ensure that the rest of their lives are calm and quiet and peaceful, but I can't really guarantee that since we're likely to have a few more adventures before our lives together are over. I will say that all the adventures I've lived through with my furry children have created an even stronger bond amongst the five of us. We might be a funny little family, but we are definitely a family, and I wouldn't have it any other way. 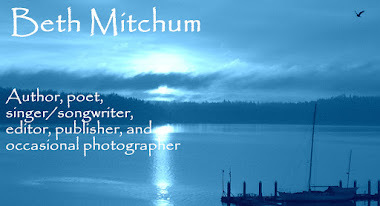 Beth Mitchum is the author of seven novels, two collections of poetry, one collection of biographical essays, one collection of spiritual essays, and one music CD. She is also the editor and contributing poet in the Sappho's Corner Poetry Series. All of her works are available at Amazon.com, BarnesandNoble.com, BethMitchum.com, BookshopWithoutBorders.com, and numerous other online bookstores. They are also available by special order through nearly any independent book store. Go to http://bethmitchum.com for more information or to her author page at Amazon.com. First chapters of her novels and memoirs are available at bethmitchum.com. 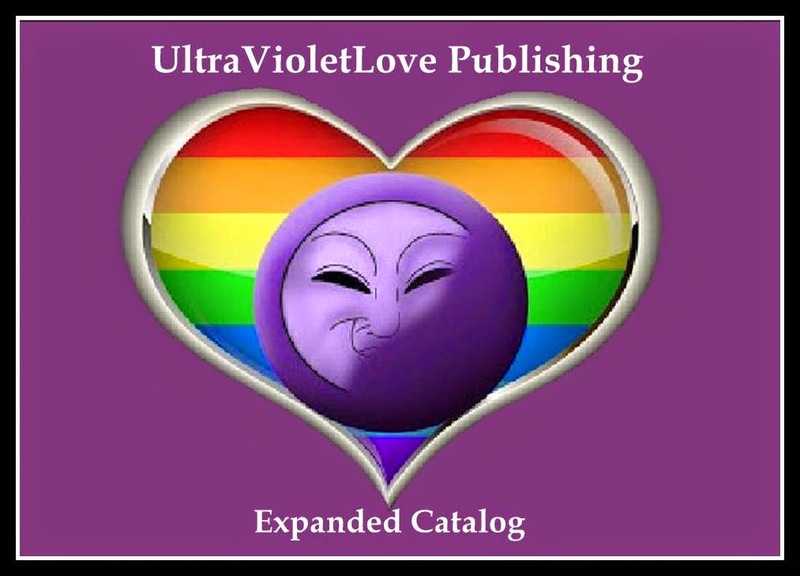 Beth is also the founder and senior editor for UltraVioletLove Publishing and the many websites run by this entity.